Last year, on the launch of the iPad 2, I wrote a piece detailing some of the apps that I use in my everyday work as a designer. Amazingly, little has changed over the last year. I swapped the official Twitter app for Tweetbot, and Writer for Evernote, but Flipboard, Kindle, and Reader remain a part of my everyday workflow. It was the update for the latest Tweetbot that got me thinking about the upcoming new iPad. The new iPad features a powerhouse Retina Display featuring a 2048x1536 resolution screen on a 9-inch device. In comparison, my 27” iMac has a resolution of 2048x1536. The new iPad has a larger resolution than my TV sitting downstairs. This thing is going to be pushing some serious pixels. Much like the leap from the iPhone 3GS to the iPhone 4, the differences will be immediately apparent. Which causes a problem. Double the resolution means larger assets, which means larger filesizes. iMovie increased in size from 70MB to 400MB. Pages, a word processing program, jumped from 95MB to 269. Size is going to become an issue on devices, especially those with 16GB iPads, and 8-16GB iPhones, who presumably will also gain the Retina assets in their downloads. But how will this affect the web? As I was fruitlessly refreshing my FedEx tracking screen yesterday, hoping to see that my iPad has left the purgatory of Ontario, California, I started thinking about my website. I use my iPad as a portfolio right now, and the increased resolution has me excited, even though I’m going to need to rebuild a lot of those images. But how will my website look on the new retina screen? And how can I insure that it looks great on RetinaPads as well as iPhones and OG iPads? The heavy lifting for the image replacement is being done by image_replacer.js. I’ve been working on a design for my new website that incorporates this blog, and I really want it to be responsive. But I also want a website that looks fabulous on my shiny new gadget, without forcing an iPhone on AT&T’s crappy 3G to choke on it. That said, text heavy sites like the Verge and New York Times look great on the new screen. 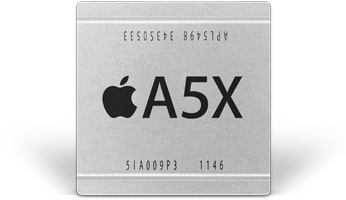 A 2048 x 1563 image is roughly 3.2-megapixels. As we all learned back in the days of the megapixel wars, that’s plenty of resolution to produce a more-than-acceptable 8” x 10” print. Even at 11” x 14”, you’d likely get a more than acceptable result. 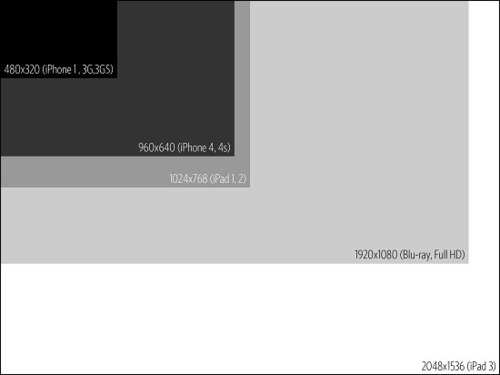 And that’s how big you’re going to have to make your online images if you want them to look their best on the new iPad. I’ll be honest here-I’m not terribly worried about my work getting stolen. But if takes a while for your favorite artist, photographer, or comic book publisher to update their sites and apps to Retina, I’d be willing to guess this is the reason why. Apple is clearly headed toward resolution independence, and I expect these Retina displays to make their way to the MacBook Air line very soon, and then spread throughout the rest of the Mac line. Android tablets are also headed toward high resolution screens-Samsung has hinted they will have a similar Retina-style tablet ready later this year. So unless sales of the new iPad fall off a cliff, I’m sure this resolution is here to stay. Time to jump on board.